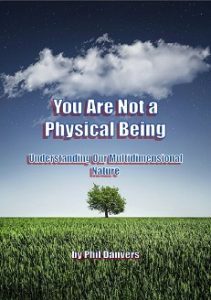 Here is a short review of my second book, titled “You Are Not a Physical Being – Understanding Our Multidimensional Nature“. It can be purchased on Amazon Kindle here. Check out my other books there or under the Bookstore menu. I wrote this book because hundreds of people found my original article about it here. Well, not actually the post itself made me think to share our true nature and help people understand “us” and the non-physical world about our multidimensional nature but I thought it would be a great idea to expand this in a bigger form. Actually, people on Amazon are finding my slowly so it would be nice if Readers here are sharing these. But let’s talk about the book. Not a huge one with useless hundreds of pages but contains the core. What the book is telling you? It took me a while to gather my thoughts and just recently I tried to repolish all of the books to make them better and correct some mistakes if I find some. The truth is, I can’t really tell it all in one ebook but I tried my best. This is something which people who are alike in this world and subject can talk out for days and weeks. These topics are good “chat” subjects if you manage to talk out these with somebody. The main core is built in it and I tried to gather my thoughts to paint an overall picture about who we are, what is the physical life about. Then what is our physical body which most are identifying themselves, the false body image etc. It is mostly about from where we are coming from, the illusions of birth and death, the life game, what the most are experiencing from it and where we are going “back”? I strongly recommend to read the Focus Model (start here) to get a nice picture of our local multidimensional system and it can help much more understanding the whole picture. Nobody needs to believe me, we can all test it out for ourselves. Many adventurers like me already saw the parts of the big picture and some of us went much further as a human being. Nothing extraordinary, you can start it out in your dream life. The question, do you have the will or intent to do it? Because I’m doing it but no matter what my picture is, you can find out your own. The basics are there. It is not about telling you what to believe. My hope is that it will help many people over time in realizing their own life as a facade, that nobody needs to suffer, that there is life after death and we were never really human beings. This world is just one from the endless scale of our multidimensional journey. We live lives because we want to. Our human life, no matter how long it is, maybe 20 years, maybe 90, but it is a tiny moment in our whole game. Time is just doesn’t exist and we are all coming here into physical systems to learn and grow on our own. Please enjoy the book and leave a nice review on Amazon and on my site too. Previous Previous post: Why can’t you wake yourself up from a Dream?